Meet & assist, transfer to hotel. Enjoy a leisurely scroll through the Beirut renovated Down Town and explore the cultural and religious heritage of the city. You will visit the old Churches and Mosques, the roman bathes, the Martyrs squares, the Grand Serail, the National Museum, AUB Museum and the Corniche. Transfer to Beirut airport departure. After Arrival from Beirut, our representative welcomes you with a sign at Amman Airport after you exit the customs. Transfer about 30 minutes to your Amman Hotel, check in, remainder of the day free. Start the day with a city tour in Jordan's capital. Amman, already mentioned in the Bible as Rabbath Ammon, is a bustling modern city. The historical places are located in downtown, where we visit the Citadel with remains from the Roman to the early Islamic period. Then we have a round in the Archaeological Museum. We stroll via the Souq, where you get an idea of everyday life, to the Roman Theatre from 2nd century with 6000 seats. From here it is a one hours’ drive to the Dead Sea, where you have free time at the lowest point on earth. Continue southwards, overnight Petra hotel. 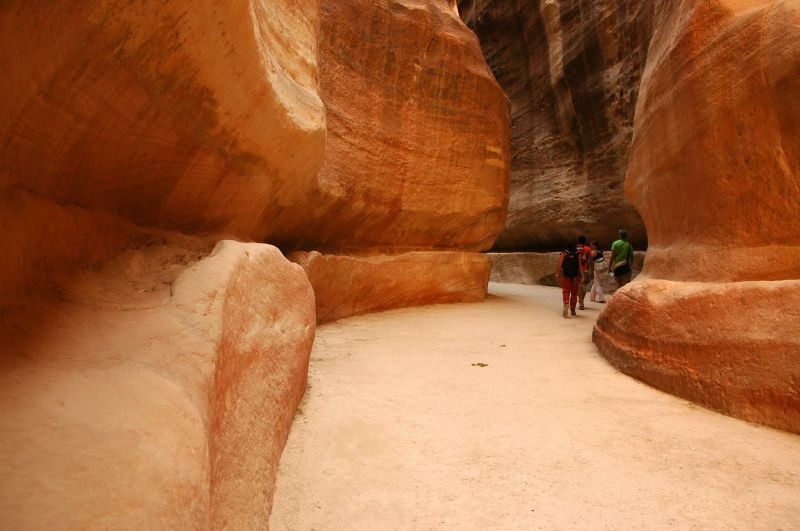 After breakfast to the red rose city Petra, the biggest attraction of Jordan. Petra was first established around the 6th century B.C. by the Nabataean Arabs, a nomadic tribe who settled in the area and laid the foundation of a commercial empire that extended into Syria. With the guide pass the canyon, the so called Siq, to see the most beautiful monument: the Treasury. Continue via the Street of Facades to the Royal Tombs and Pharaoh's Castle. The guide says farewell to you at the restaurant area; free time to explore Petra on your own. In the afternoon return to your Amman hotel. Check out from hotel and drive 1 hour to Jerash, the best example of a Roman provincial city in the whole Middle East. Visit the spectacular forum, Roman colonnaded street, the Nymphaeum and the Temple of Artemis. Transfer to Amman Airport for your afternoon departure.